Unam Sanctam Catholicam: Comparing Trad and Liberal "Dissent"
Comparing Trad and Liberal "Dissent"
In the May-June 2012 issue of Catholic Answers Magazine (formerly This Rock), there is an interesting article by Kenneth Whitehead entitled "Dissent of a Traditionalist Stripe: How Vatican II Resulted in Revolt from the Right as Well as the Left." The article is the second in a two-part series on errant interpretations of Vatican II, this one obviously dealing with dissent "from the right." The article is emblematic of how the traditionalist issue is typically misunderstood by many in the mainstream Church who consider themselves orthodox but would not necessarily call themselves traditionalists. "The radical traditionalist position...held that nothing in the Church's tradition was subject to change. The most prominent of this latter position is the Society of St. Pius X (SSPX), an organization founded in Switzerland in 1969 by the late French Archbishop Marcel Lefebvre in reaction to what he considered to be the "errors" of Vatican II. There are a few other radical splinter groups that also reject the Council, but the SSPX is the principal and best organized of them " (pg. 34). Notice what the author has done here. The title of the article claims to be about "dissent of a traditionalist stripe." He then will change this statement to "radical traditionalists." Later in the article, the followers of Lefebvre are simply referred to as "traditionalists" (pg. 35). But since "traditionalist dissent" is the focus of the article, are we to assume that traditionalists and radical traditionalists are the same thing? The straw man argument comes in when traditionalists are basically lumped together under the phrase "SSPX" along with "other radical splinter groups that also reject the Council." Apparently, all, or at least most, traditionalists are SSPX, or those whose one common belief is rejection of the Council. While purporting to answer "traditionalism", the article makes the equivocation Traditionalist = SSPX and then goes on to deal exclusively with the SSPX. Patrick Madrid, one of my favorite mainstream apologists, regrettably does the same thing in his book More Catholic Than the Pope. In either case, there seems to be no thought of answering the objections of traditionalists who accept the Council, are in union with the Church, and are not part of the SSPX. The ambiguous way in which the article uses the term "traditionalist", the straw man tactic of associating all trads with SSPX, takes quite a bit of precision out of Whitehead's argument. The mainline Church is presented as a solid center, equidistant from two equally dangerous extremes, liberal "spirit of Vatican II" Catholicism on the left radical Traditionalism on the right. The mainline Church maintains the balance between these two extremes. However, there are two major problems with this paradigm (1) the equidistance the mainline Church is assumed to have between the two extremes and (2) the real "threat" of each extreme position relative to the mainline Church. Remember, Whitehead's opinion assumes that liberalism and extreme traditionalism are "two post conciliar trends at opposite ends of the ecclesiastical spectrum." This statement tells us only that the two extremes are opposites of one another, but it tells us nothing about the position of the mainline Church relative to them. Without further clarification, the assumption of such a statement is that the mainline Church is situated centrally between the two positions, condemning the errors of liberalism from the same comfortable distance from which it rebukes the errors of the radical traditionalists. This is not accurate, I think, because radical traditionalism (as represented by the SSPX, per the article) and liberalism are two different sorts of things. The SSPX is an organization that exists within a canonical framework and with whom the Church can reach out to, negotiate, dialogue with, make concessions to, demand concessions from, and ultimately reconcile with. It is more easy identify; they are not in union with the Church in a formal manner, and because of that, they can be formally approached and reconciled with. The Church considers them an external problem. Liberalism, on the other hand, is not something that is related to the Church in any canonical way, either for good or for ill. Whereas the SSPX are something we can identify as distinct from the mainline Church, liberalism is a philosophy that infects large segments of the Church itself. It is not distinct from the Church in the sense that we can dialogue with it, negotiate, or make or demand concessions. It is something like a cancer that has rendered large parts of the body unwholesome. Because of this, it is not something the Church can "stand off" from and approach strategically. The Church cannot approach liberalism from the same distance that it approaches the SSPX from because liberalism is something the Church struggles with internally whereas the SSPX are an external issue. In addition to this, we must note the overlap between liberalism and the Church. Some of the biggest and most problematic liberals in the Church are members of her hierarchy in good canonical standing. The SSPX bishops, by contrast, were excommunicates until recently. Some of the liberal bastions within the Church are legitimately established dioceses. In many parts of the world, the liberals are the Church. The Church does not stand off distantly and condemn liberalism from a central position because liberalism is in the very heart of the Church. This cannot realistically be said about groups such as the SSPX, who are organizations canonically distinct from the Church. Furthermore, the "threat" posed to the Catholic Church from these two extremes is far from equal. While Whitehead's article states that "Vatican II resulted in revolt from the right as well as the left," the revolt from the "right" pales in comparison to that posed by the left. For example, the SSPX, our stereotypical "radical traditionalists", number only around 600,000 world wide. That is miniscule. To put it in perspective, there are 1.4 million Catholics in the Archdiocese of Detroit alone. The Archdiocese of Los Angeles has 4.3 million. With the average Catholic diocese having Catholic populations at least in the hundreds of thousands, and with entire dioceses, and even the hierarchies of entire countries being mired in modernism (United Kingdom, Switzerland), is it really realistic to portray a sect of 600,000 worldwide as an equal threat to the liberal scourge that claims millions and millions of adherents? According to polls, 85% of Catholics deny the Real Presence and a similar amount use contraception. Given the massively destructive influence of liberalism which are behind these stats, is it really legitimate to speak of radical traditionalism as an "equal" threat to the Church? 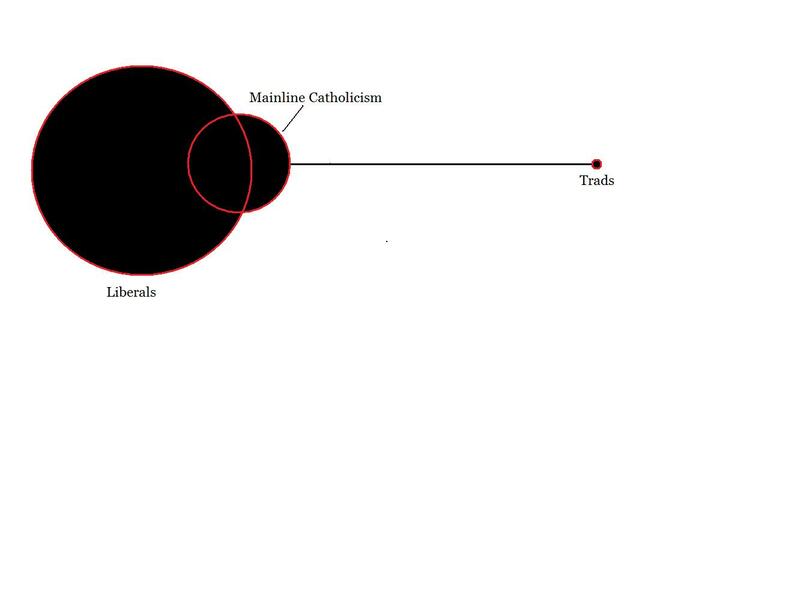 In this depiction, the threats of liberalism and extreme traditionalism are portrayed more accurately, the extreme trads representing an infinitesimally small amount of individuals while the liberal circle is composed of millions upon millions worldwide. Perhaps I am being pessimistic, but in my depiction, the mass of liberal Catholics is three times larger than orthodox mainline Catholics. Furthermore, as I mentioned above, the "overlap" between the the mainline Church and the canker of liberalism. 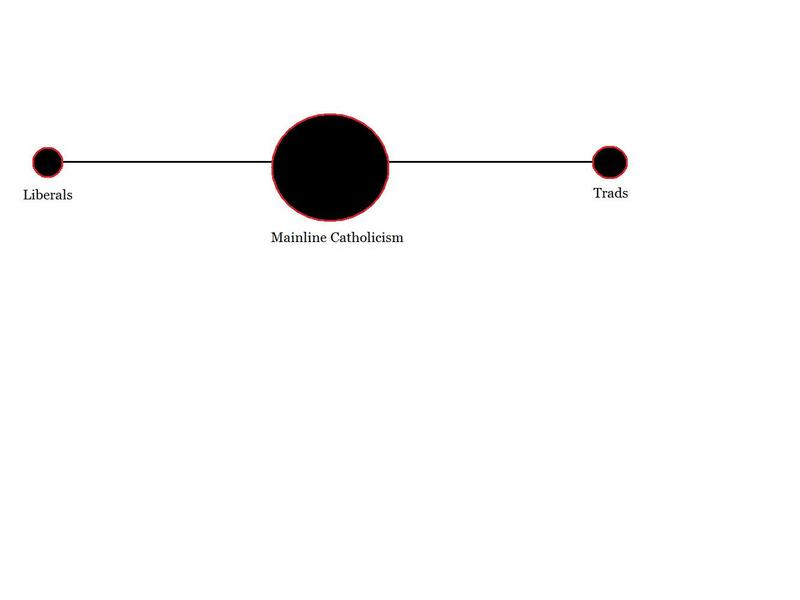 The canonical "distance" between the institutional Church and the SSPX is also depicted. All disunity, whether canonical or ideological, is bad. But to present the existence of an extremely small minority who are in an irregular canonical situation as an equally grave threat as the ubiquitous presence of liberalism in almost every corner of the Church, even in the hierarchy, is just not accurate. Ironically, the Whitehead article will go on to imply that Benedict XVI is wasting his time in dialoguing with the SSPX. Commenting on the historic motu proprio Summorum Pontificum, Whitehead remarks that "the pope was obviously listening to the traditionalist complaints," (pg. 36) as if the pope's motivation in the motu proprio had nothing to do with wanting to restore liturgical sanity in the Church and was simply to appease some rad trads. Regarding other efforts to reconcile with the SSPX, he says, "Pope Benedict paid a steep price for trying to bring the SSPX back into the Church" (pg. 37) and downplays the negotiations up until now as "quibbles" (ibid). Whitehead seems to think these talks are fruitless and that the pope is wasting his time with them. I say this is ironic because, since this magazine went to print, it has come to light that the SSPX-Vatican discussions have intensified in recent weeks, that all signs are encouraging, and that there may be a real reconciliation. The pope is expected to issue a judgment in May, according to Rorate. Liberalism and expressions of traditionalism that deny the validity of the Second Vatican Council are both errors. But they are not errors of an equal sort, nor does the Church stand with equal distance from each, nor are the threats from each equivalent, nor can all traditionalists be lumped together as SSPX. It's these same of canards that have kept traditionalists in the margins for too long. This is a great article, but I would like to add an important clarification. Many don't realize the whole "Left" vs "Right" dichotomy is a false one, and really two sides of the same Liberal coin. In Catholicism there is no "traditionalism," you're either orthodox and faithful to the Church's constant teaching or you're not. When it comes to things like the Traditional Latin Mass, it is not a matter of "preference" but rather 'deference'. The TLM enjoys the crown of being the Mass of Ages, never (formally) forbidden. Those in the SSPX type situations are unjustly marginalized for merely standing behind perennial Church teaching. It's not so much that the SSPX can be negotiated with while Liberals run the show as it is being truly Catholic versus cherry picking. I would say your negotiating comments are true in so far as "traditionalism" is not a disease, where as Liberalism is. This is why I've said Conservatism is the most dangerous heresy out there, more dangerous than Liberalism or Traditionalism, because Conservatism is Liberalism in disguise, masking itself as "mainline" and "moderate" Catholicism, giving way to the false "Right Wing" vs "Left Wing" on the Catholic "spectrum". There cannot be a "moderate" Catholicism as you said. Agreed. I thought of that, too. The best part of this article is undoubtedly the stellar charts. I made this picture before I read Nick's comment, but the chart could be seen as a drawn version of his comment. This is how I view the situation of the Church today, and the issue of "dissent." Hmmm...it depends. Is that "the Church" in the center that the are orbiting around? I would be very hesitant to use this depiction because it does not show the "overlap" within the mainline Church - is the tiny "Trads" circle mean SSPX, which is within a larger context of traditional Catholicism as practiced through the centuries? This practice of depicting the current ecclesiological status through circles is kind of fun. A! You have misinterpreted my artwork! At last I can add my name to the infinite list of misunderstood modern artisans. Allow me to explain. First let us clarify the less complicated ones. 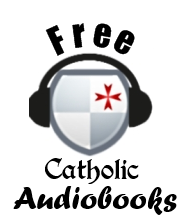 The True Religion: Catholicism in all its splendor and fullness "through the centuries". Liberals: Satan's cannon-fodder. Trads: any non-schismatic traditionalists, but especially, as a circle of their own, the SSPX (safe in the bosom of Catholicism). Their circles, like the center circle, are all fixed. Only the circle representing Mainline Catholicism is orbiting around the center circle, which itself represents the Second Vatican Council (as I'm sure you suspected). This orbiting demonstrates how Mainline Catholicism views the Second Vatican Council as its true center, perhaps even its beginning; a rebirth of sorts. In whatever case, they are bound to the Council. And because they are bound to it, owing to its ambiguity and confusion, on a good day they may coincide with the True Religion, thus embracing the trads and touching even upon the SSPX, but on a bad day they may even eclipse the worst of liberals. Bonus points if you know the events without having to look it up. "This practice of depicting the current ecclesiological status through circles is kind of fun." I hope this clears it up, but let me finally point out, what we really already know in our hearts, that any misunderstanding is entirely at fault to your bottomless ignorance and not my artistic capabilities. Part of the problem is that everyone wants to claim the term Traditionalist for themselves, hence the confusion. However, people who are supposed to be experts on theological and church related matters should be able to know the difference if they did proper research. I am glad you posted this because I wanted to post an explanation of what a real Traditionalist actually believes, which I call Authentic Traditionalism. Liberals, “real” Catholics, and Trads. It is a very simplistic way to conceive the entities in the Church. It is very appealing though and tends to produce imagery in one’s mind that they are the safe “middle-ground” position. Please write this in a letter to the editor. You are absolutely right and they need to hear it. Both you and Boniface make the size of your liberal circles relative to the amount of liberals. I didn't. If I did, I agree with both of you that it should be at least as big as the one representing Mainline Catholicism. My actual comment to you was first to only to point that I'm allergic to the word "authentic" from the abuse it suffered in the encyclicals and theology of John Paul II. To develop this further, what exactly then is authentic traditionalism? Are the SSPX included? In my view they are. They're not schismatics. They're not heretics. They're just Catholics, traditional ones. 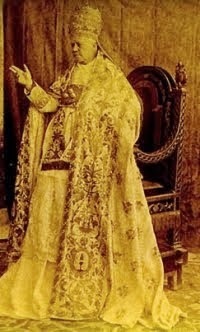 They may be "radical", as in not bowing an inch to modernity, in comparison to other traditionalists who walk the line, as FSSP, or more flimsy ones that'd abandon the Traditional Mass (I use this example because it's the most obvious trait of traditionalism), perhaps even disband, at a tip of the hat of the Pontiff. I think here of newer ones like Institute of Christ the King and the Institute of the Good Shepherd. But these are all, in my view, included as Authentic Traditionalists. It's a broad category. Groups I wouldn't include would be Sedevacantists, who are schismatics, and, on the opposite side, the indult-type, who are Mainline. Do you see what I mean about the word "authentic"? It doesn't actually say anything until you've clearly defined it, and even after that it's very subjective. I'd also like to point out that all of this comes from someone who, to my shame, hasn't yet been to a True Mass. 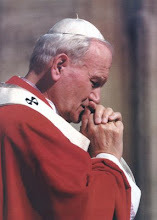 Another important point of difference is the fact that the "dissent" of SSPX is based on the teaching of several doctors of the Church (whose teachings on this subject were more recently gathered by Cardinal Newman) which claim that it is a matter of obedience to God to oppose a pope whose actions tend to destroy the Church (and this phrase is from a doctor. I will find you the exact reference if you want). Thus, if we are to believe the doctors of the Church rather than the new doctors of apologetics, we really must ask if the "dissent" of SSPX was legitimately trying to avoid the auto-demolition of the Church or if it was merely a desire to be one's own authority. In connection to this we frequently heard Archbishop Lefebvre say things like "I do not want to be the head of a movement. I merely want to do what every Catholic bishop is created to do: transmit the same faith that was transmitted to me." 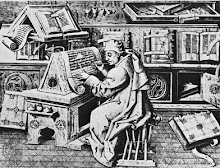 Further, it's very hard to see what mainstream Catholics mean when they say SSPX denies VII when so many non-dissenting traditionalists have likewise affirmed that the council is pastoral rather than dogmatic (and in fact several of the major seminaries in Rome have approved such conclusions being made as doctoral theses). I do not see how SSPX is denying the council anymore than these professors and theology students, as well as traditional priests in approved structures who say the same thing. My guess is that mainline apologists need to present things this way because, though radical traditionalists are a small minority, they pose a much greater intellectual threat to the "conservative Catholic" position. To take just a couple easy examples: if we're rejecting explicitly liberal post-conciliar changes in morality such as priests giving parishioners dispensatons to use contraception, the presence of even a small amount of traditionalists forces them to ask how it's possible that prayer with heretical sects (formerly a sin against the faith along with heresy, schism, and apostasy) has suddenly become a virtue. Similarly we might ask how we went from "there is no salvation outside the Church" to "Jesus Christ saves, and in the Church we just have a few extra helps and a bit clearer view of things." Were either of these changes necesitated by the council? Would a council even have the authority to change such ancient and consistent teachings? The mere presence of a small group of traditionalists thus is a serious challenge to the mainline Catholic mind, even if our numbers are not. But this new interpretation of "no salvation outside the Church" is the one consistently given on relevant radio which claims to be "orthodox" and "loyal to the magisterium," and is sometimes even extended to muslims who "believe in Jesus in a different way." A handful of traditionalists, even if it's only a handful, forces conservatives to look right at all the radical changes they have accepted, and thus is a great threat even if not a numerical threat. This is not a matter only of SSPX and "rad trad" groups, either. I've found that most serious proponents of the old indult masses are about as serious about these things as most people I know in the SSPX. Indeed, I've generally not felt any less marginalized being part of approved indult societies than I have being part of SSPX chapels, nor have a generally found the parishioners to be much less radical at the former. At most you find differences like "I occasionally attend a NO on weekdays when there is no traditional mass" vs. "I never attend NO for any reason," but the former is only a hair's breadth more accepting of the NO as legitimate. Whitehead's definition of traditionalism is also a caricature. Archbishop Lefebvre never argued that nothing in the church is subject to change. 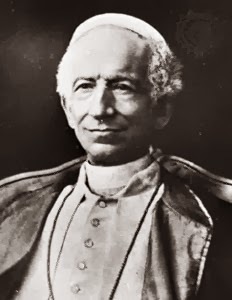 He argued (as did Cardinal Newman in his Essay on Development) that authentic developments must be consistent with what preceded them, and since Vatican II was not consistent with the pre-conciliar Magisterium at several points, it could not command the assent of Catholics. That is a very different argument. Traditionalism (even of the SSPX variety) is not the same thing as integralism. I'm slowly beginning to understand the role SSPX is about to have. I've read that the bishops (popes too)still have a difficult time understanding what really went on at the council. If true, then it explains much about the council's aftermath. Is it really that chaotic in the church? Why would anyone in their (right) mind want to defend the council as currently taught and practiced? Your assessment of liberalism in the Church and Kenneth Whitehead's misrepresentation of traditionalism and the situation with the SSPX is accurate. Whitehead would probably disagree that liberalism has infected the Church to a great extent. He probably sees the common liberal tendencies as harmless or legitimate or necessary. If he really thinks that the pope should not bother trying to talk the SSPX into returning to the Church,that may be a sign of resentment that conservatives are getting special attention. Maybe he is one of those liberal-leaning professional Catholics who dislikes Catholics who are strongly loyal to traditional doctrines and devotions and litugy. You should send him or This Rock an email pointing out his misrepresentations. As a tangent, I will note that Fr. Angelo Geiger of the Franciscans of the Immaculate (blog Mary Victrix) has a new book coming out that, based on some previews he has given, seems to take a somewhat similar tact, declaiming those who have criticized Vatican II from a traditional perspective as just as wrong, just as dangerous to the Church, and even just as heretical as the most extreme of the leftist-modernist types. I have a great problem with this thesis, for many of the reasons you relate. But I also believe that criticism of the Council from a traditional perspective is valuable, even necessary, for the Church to remove itself from the post-conciliar disaster. You cannot read Iota Unum and conclude that there have NOT been enormous efforts to redefine the Church and its beliefs, by a huge number of people, many of which are Archbishop This or Cardinal That. 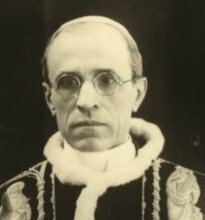 Such forces seeking to remake the Church in the image of man (for Amerio makes clear that is their intent) are far, far more dangerous to the Church and souls than any perceived "threat" from those who can look at the Council, look at the preceding Magisterium, and say "these two things are not alike." But, as another commenter noted, the traditionalist critique is a deadly threat to modernist, but conservative, Catholicism. 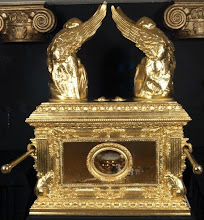 Thus, it must be countered, and I think we're going to see more and more pushback as the TLM expands and more and more souls are exposed to the beauty, the elegance, the glory of more traditional Catholicism. But the pearl of great price is worthy of much suffering and labor. Fr. Angelo Geiger of the Franciscans of the Immaculate (blog Mary Victrix) is untrustworthy and I know this from personal experience. Months ago, he copied part of a post I left at Rorate Caeli and he did so to portray me as an antisemitic nut ball (Ok,he got the nut ball part right) and said I accused others of creating a conspiracy when I wrote precisely the opposite. I wrote I was not yet at the point of accusing the Patheos Posse of a conspiracy. I trust him as far as I can throw John Goodman. I know Im late to the party but better late then never I guess. I came across this statement, "The Church considers them [SSPX] an external problem." In fact the very opposite term is used by the Vatican. They have said that the issue of the SSPX is an "internal" one. Cardinal Cassidy who heads the Office for Christian Unity said as much, “... I would like to point out immediately that the Dicastery for ecumenism is not concerned with the Society of St Pius X. The situation of the members of that Society is an internal affair of the Catholic Church. The Society of St Pius X is not another Church or Ecclesial Community in the sense that this Dicastery uses those terms. 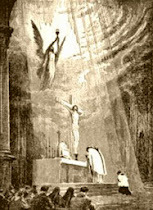 Certainly, the Mass and the sacraments administered by the priests of the Society of St Pius X are valid." Cardinal Hoyos said point blank with regards to the SSPX, "They are within the Church". Yet earlier in the piece you say that, "The SSPX is an organization that exists within a canonical framework and with whom the Church can reach out to, negotiate, dialogue with, make concessions to, demand concessions from, and ultimately reconcile with." Ok, so Im confused. If they exist within a canonical framework how can they be an "external" problem? Could you clarify what you mean by "canonical framework"? I agree that liberalism is an internal matter in the same sense that a deadly virus swims inside a person. Yet it is still a foreign invader that came from an external source. 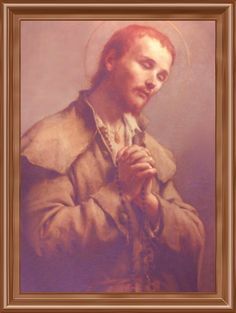 The SSPX is within the Household of Faith the same way that a family member who doesnt get a long with others is still inside the house and is a member of the family. Clearly the SSPX is viewed as the latter. I could be misunderstanding you but its unclear how you use the internal/external distinction in light of the Vatican's statements to the contrary. Hey JR...yeah, probably could have been clearer. I should have said "externalized" instead of external. What I meant is that the SSPX is a definable entity that can be zeroed in on and spoken with directly. You can't zero in on and negotiate with liberalism. however. Liberalism is a very vague trend of thought rampant within the Church. SSPX are a definable thing without boundaries. Thank you very much for the clarification Boniface, I appreciate it!